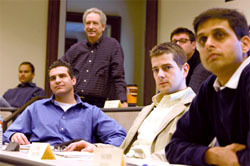 The Emerging Leaders Program prepares high-potential employees to succeed in management positions. Through an interactive process of assessments, class discussions, a business simulation, and sessions with professional executive coaches, participants focus on key leadership challenges, and develop fresh insights relevant to their organizations. This structure allows participants to apply what they are learning, formulate action plans and accelerate their performance. 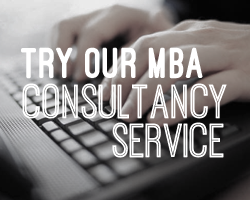 Specifically tailored for individuals with 5 years of experience who may or may not have held management roles, the program enlists the expertise of world-class faculty and global business leaders to create a corporate curriculum that delivers immediate results. Organizations gain more effective team members who assume greater responsibility and a strategic understanding of their company's operation. Application to Emerging Leaders program is required. We carefully monitor the balance of companies, functions, and regions represented in each session to promote a strong peer learning environment. Applicants will be notified of their admission status within one (1) week of applying. Enrolment in the program is confirmed only upon completion of personal and sponsoring executive forms and receipt of payment in full. All information is strictly confidential.